As the number of iPad users is growing, so is the number of complaints from these users. Each day users face a new problem with their iPad. And every day they come looking for new solution. One such problem that the iPad users are facing is iPad not charging issue. Before we move on to offer some solutions on this issue, let us see as to why users face iPad charging slow issue. If you are one of the users whose iPad not charging despite being plugged in, then below mentioned factors might be reason as to why you are facing this issue. Software issues: Most of the times, it is a software issue that causes iPad not charging issue. Hence, you must check for an app with glitches or a failed update while updating the iOS. If you have discovered that the reason behind the problem is related with software, then you may have a solution moving forward in the article. Hardware issues: Sometimes, your iPad says not charging due to a hardware part not operating accurately. At such times, you need to go to the nearest Apple Service Center to solve the issue. Now that you have a general idea of the reasons behind this issue, let us have a look as to how you can get the answer to "why won't my iPad charge?" question. 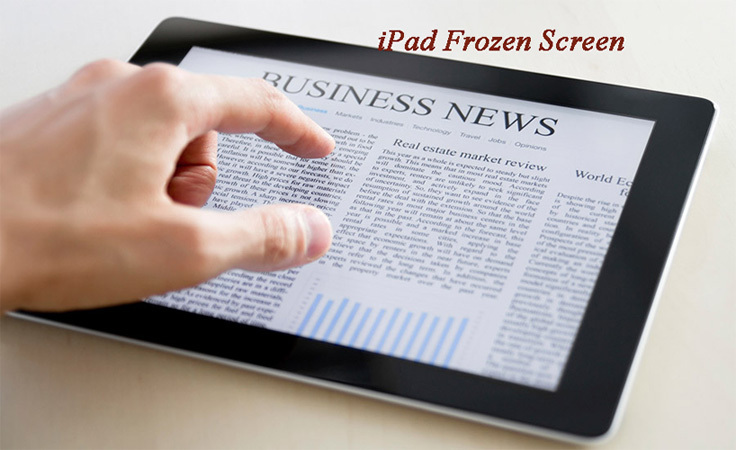 Below are some possible solutions that might come handy to fix your "iPad frozen won't turn off" issue. If you are complaining "my iPad won't charge," then force restarting your iPad can turn possibly solve your issue. Follow the given steps below to know how to solve iPad not charging on PC issue. If you are one of the users complaining about why is my iPad not charging, then probably you should have some patience. If you are facing this issue, all you need to do is just charge your iPad for a while and you will let to know if you were really facing the problem or it was just your iPad out of juice. If still, you are not able to charge your iPad, then you can move on to next solution. One more reason for users to complain "why does my iPad say not charging" is the charging cable and the adaptor. If there is any issue with the adapter and the cable, it is obvious for the users to complain that they are seeing iPad not charging error message. Hence, look for any damage for the adapter and the cable. Replace it with new cable and adapter in order to have a better experience. Restoring the iPad in the Recovery mode is one of best solutions that you can try in order to solve iPad mini not charging issue. All you need to do is follow the given below steps. Step 3: While your iPad is in Recovery mode, all you need to do is press and hold the Home button and Sleep button for at least 10 seconds. Step 4: Select the Restore options on your computer. Wait till the process ends. Restart your iPad. Putting iPad into DFU mode is also a solution that many experts have recommended for solving issues such as iPad Pro not charging. Here are the steps that you need to follow. Step 1: Run the latest version of iTunes. Step 2: Switch off the device and connect your iPad to your PC. Now, hold down the Home button. Step 3: Let go off the home button when you see Connect to iTunes screen. Your device is in DFU mode. To exit the mode, you will need to force restart the device. This can be done by long pressing the Home and Sleep button till the screen goes off and Apple device appears once again. When it seems that using DFU mode and recovery mode are somewhat confusing for you, Tenorshare ReiBoot can act a savior to solve the issue. This tool offers solutions to issues with a single click and can be used if your iPad not charging when plugged in. All you need to do is follow the steps given below to know the solution if your iPad won't charge or turn on. Step 1: Install and run the tool on your PC. Next, connect your iPad to the PC. Tap on the option "Repair Operating System" that is present on the main interface window. Restoring iPad using iTunes can also act as great solution for iPad air not charging issue. All you need to do is follow the steps given below. Step 3: This will restore the device and possibly solve iPad battery not charging issue. If none of the solutions work, then probably there is a hardware problem that is causing the issue. Hence, as stated earlier, you will need to visits the Apple Service Center. Below are some tips that you should follow in the future to avoid such issue. 1. Do not charge the battery to full overnight. Avoid charging battery overnight and every now and then. Charge your battery to 95% and unplug it. 2. Avoid using iPad case and covers while charging the battery. 3. If you are low on battery, use Low Power Mode. 4. Avoid using apps that drain out much battery. 5. 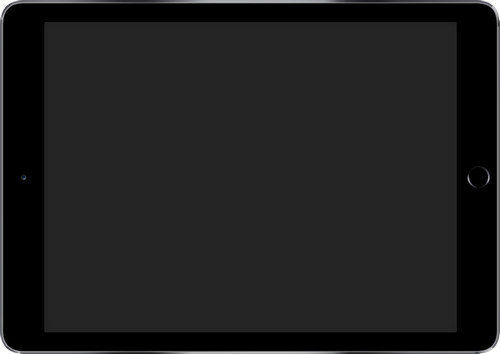 Use minimum brightness while using the iPad indoors. This will help save the battery. 6. Also, you can use auto lock feature to lock your iPad. Screen uses a significant amount of battery. Hence, auto lock feature can help you save some battery. You just had a look on the best 8 solutions that could help you if your iPad not charging with extension cable. Do let us know your feedback on the article by commenting below.